EcoRise inspires a new generation of leaders to design a sustainable future for all. Our school-based program empowers youth to tackle real-world challenges in their schools and communities by teaching sustainability, design innovation, and social entrepreneurship. With over 17 years of national and international experience working with education programs serving disadvantaged youth, Gina LaMotte founded EcoRise (formerly Uplift Austin) in 2008. 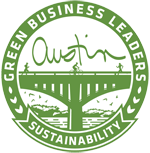 EcoRise began in one public high school in Austin, Texas, with the mission of inspiring a new generation of leaders who will design a more sustainable future for all. Over the years, Ecorise has successfully transitioned to a train-the-teacher model, preparing to serve over 900 schools domestically and internationally, impacting an estimated 95,000 students this school year. Enhance STEM Education: EcoRise bridges the gap between theory and practice, helping students understand science and math concepts as they develop solutions to sustainability challenges relevant to their school and community. 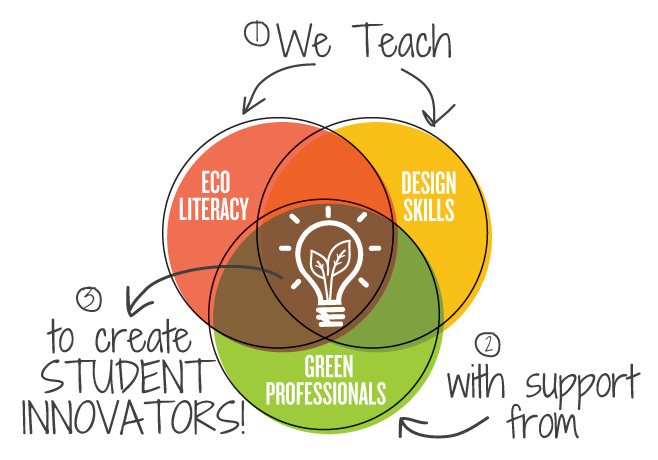 Promote Sustainability: Students cultivate environmental literacy and stewardship, adopt sustainable living practices, and act as leaders and creative change-makers in their communities. Exposure to Green Careers: Students learn and are inspired by professionals representing architecture, science, design and green technology who share college and career opportunities as well as the most current breakthroughs and trends in their field. Develop 21st Century Skills: The program incorporates design thinking methods to cultivate essential soft skills, including creativity and innovation, critical thinking, communication, collaboration, technology literacy, and leadership.